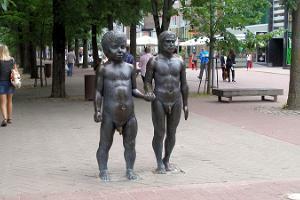 Unveiled on Küüni Street in Tartu on Child Protection Day on 1 June 2004, this bronze sculpture by Ülo Õun (1944-1988) is said by his widow Inara Õun to portray the sculptor himself with a child taking after their son Kristjan at the age of 18 months. 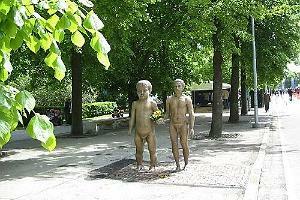 The sculpture was created in 1977 before being cast in bronze in 1987. 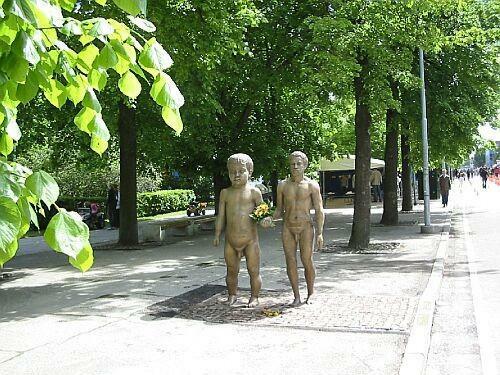 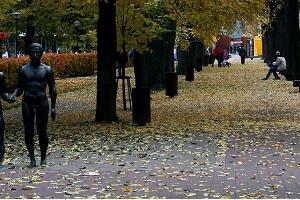 It was originally designed to be erected in Tallinn, but Tartu City Government bought the sculpture in autumn 2001.